We provide a safe space for yoga, creative expression, healing, and art therapy. We support the sacredness and creativity of each individual through self-acceptance, awareness, and compassion. Our classes will have you connecting with your inner wisdom and expressing your unbound creativity. Let go of deep-seated stress at Solstice to create new joy in your life. You’ll find a beautiful, safe environment in our New Easthampton studio, located in the heart of the Eastworks community. Deeply heal, get creative, meditate, relax, and uplift yourself with group practice in our beautiful light-filled yoga space! Come experience daily classes in a variety of styles; the noontime Revive and Shine 30-minute class, focused 4-week series, Kundalini Yoga For Vitality And Strength and more. Join us for special weekend workshops. Sound Healing, Movement & Music, Kirtan events, creative workshops and more. Check our schedule for the latest transformative workshops. Therapeutic Art Therapy sessions integrate expressive and somatic approaches to healing and wellness for adults and adolescents. Deeply heal and unleash your creativity. 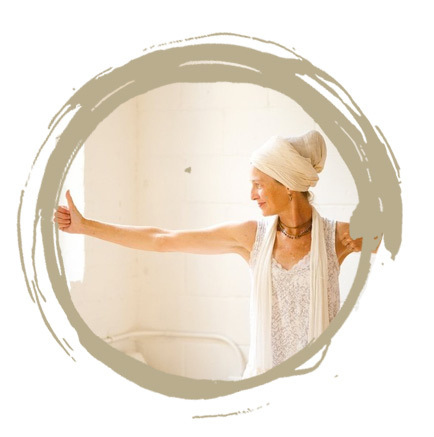 Our Kundalini Yoga teachers will leave you soaring after a class and our Restorative and Vinyasa teachers will stretch and challenge you to find that peaceful place. Yoga speaks to the Sacred. It creates and maintains the opening for the flow of Prana (life force) and is the portal to infinite creative potential. Yoga and Art is at once containing and expansive; adventurous, courageous and safe. Yoga completes and makes sense of this journey, while providing ever more opportunities for growth. Yoga and art creates the vessel for the alchemy of Creativity and Spirit to happen. Discover simple yet profound yoga techniques to enhance creative focus and flow at Solstice Yoga, Healing & The Arts. 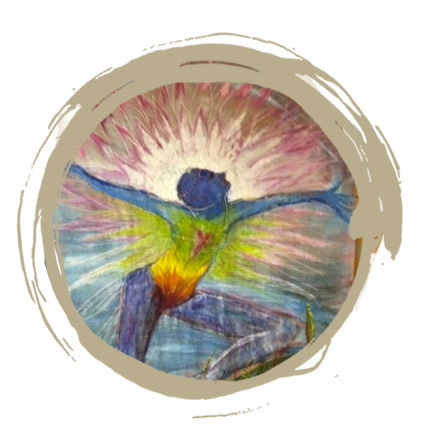 I utilize a heart centered, therapeutic and creative approach to teaching, integrating my experience in Expressive Arts Therapies with the sacred, spiritual, deep healing practices of Kundalini Yoga and Meditation. I hold a deep belief in the power of the practice to dissolve mental and emotional blocks that keep us stuck in negative patterns, so we can come into internal alignment with our own best self and cultivate resilience and strength so we can choose to have more love and peace in our lives. I truly believe that love is the only thing has to power to create miraculous changes in our lives. Love is the essence of life, and we are here to remind each other of that. Love changes everything. — ROMULO VALDEZ, JR., PH.D.